The Quilters’ Guild Museum Collection is held byThe Quilters' Guild of the British Isles, an educational charity founded in 1979. Our aim is to promote the crafts of patchwork, applique and quilting. 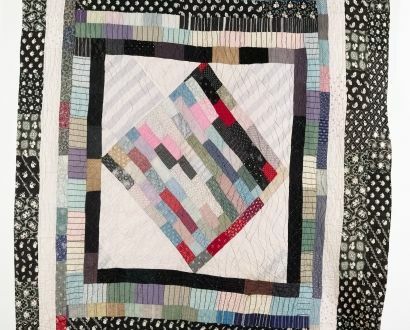 Access to our collections is still possible through a variety of open days, mini-exhibitions and activities at the home of The Quilters' Guild, St. Anthony's Hall, York. Please see our Exhibitions tab for listings of forthcoming events. 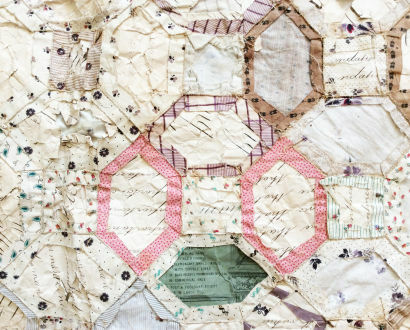 Showing our Collection is very important to us, and we do this through loans to other museums and galleries across the country, and through our own exhibitions which feature at The Festival of Quilts in Birmingham. Researchers can access specific pieces in the Collection through pre-booked appointments with the Guild Collection Curator - click here to find out how. Groups between 8 -15 people are also welcome to book for 'Behind the Scenes' object based talks - click here for more details. Explore these detailed and fascinating quilts made to celebrate the 800th anniversary of the signing of the Magna Carta in 1215.